A local Charlottesville limousine service is doing their part to make this year’s Paramount Theater's 9th Annual Grand Marquee Gala extra special for those attending. They will be offering several different types of luxury limos and limo packages to help get people to and from this big event in style. The name of the company is Camryn Limousine and they provide luxury transport services to Charlottesville, Central Virginia and just about any other area someone wants to travel to. Over the last 9 years, the Charlottesville Paramount Theater has been putting on quite an extravagant show as far as their Grand Marquee Gala event night goes. 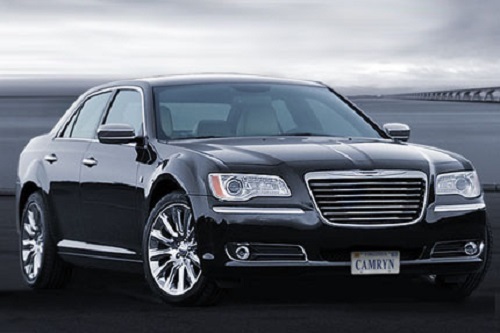 Camryn Limousine has been a part of that every year with the many varied luxury limousine services they offer to those attending. More details on this fun night out at the Paramount Theater can be seen here on their Facebook page at https://bit.ly/2CYZixH. This year the Paramount Theatre has announced their big Grand Marquee Gala event will take place on the night of January 26th. One should arrive there by 9 pm if they want to catch the highlight events for the evening. This Charlottesville based luxury transport service has been given some prestigious awards for the type of limousine service they offer too. That includes one of the highest awards any limousine service in the USA can receive; in 2016 they were the recipient of the national LCT Operator of the Year Award. For those wanting more information on the very diverse limo services that Camryn Limousine offers, one can contact Bill Kerr at (434) 990-9070 or send them a message on their Facebook page at https://www.facebook.com/CamrynLimousine.